Chinese bike-sharing firm Ofo has raised $866 million in new funding led by Alibaba Group Holding Ltd, in what it said was the largest investment garnered in a single round by a bike-sharing startup. The latest fundraising comes as Ofo and arch-rival Mobike, the biggest bike-sharing firms in China, have been expanding rapidly overseas as well as launching new services at home and offering a greater variety of bicycles. "Ofo has been transitioning from a phase of rapid growth to a stage of high-quality development," founder and CEO Dai Wei said in a statement. 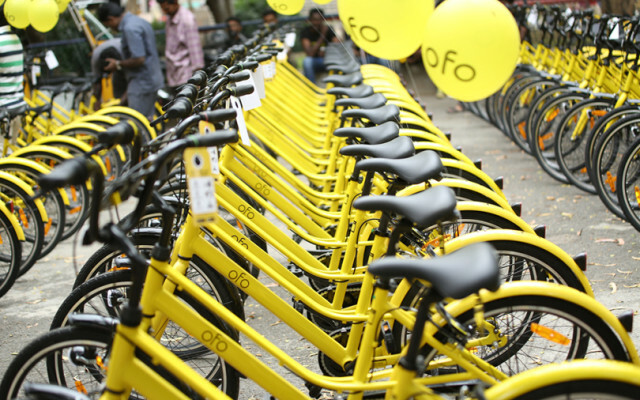 Ofo did not disclose an updated valuation for the firm. Prior to a $700 million funding round in July 2017, Dai said Ofo was worth upwards of $2 billion. In addition to Alibaba, an existing investor, Alibaba affiliate Ant Financial and Chinese venture capital firms, Haofeng Group, Tianhe Capital and Junli Capital participated in the round, the statement said. Ofo's previous investors include ride-hailing firm Didi Chuxing, which has integrated Ofo features into its own bike sharing platform. It said it has roughly 200 million users globally and is operating in 250 cities in 21 countries.